It is hard to argue with the great features of the Actron CP9550 PocketScan Plus. It is not the cheapest OBD2 vehicle scanner that money can buy, but it isn’t the most expensive either. The simple, 3-button operation of the scanner makes it simple and quick to use. You can use this scanner even if you know nothing about cars, but the impressive array of useful functions makes it ideal for professional mechanics and DIY enthusiasts. 1. If you notice something unusual with your vehicle such as engine stuttering, engine malfunction or if the engine misfires, reduce your speed immediately and park the car as soon as possible. You should keep the engine running, even if the check engine light is on. This will allow you to assess the overall condition of the vehicle, and if it is safe to proceed driving. 2. If the check engine light is present, and if the car seems fine, you can proceed driving with caution. It is better to bring the car to a garage, or drive to your favorite mechanic. Without a proper scan tool, it is hard to determine the cause of the engine malfunction light. Thus the reason to bring your car to a mechanic as soon as possible. 3. If your car is relatively new, or if your vehicle is still covered by the warranty, do not hesitate to visit the dealership/service center. Take advantage of your warranty. Why pay large sums of cash if the dealership is obliged to fix your car for free or at a lower cost? But for those who drive older cars, it is wise to invest in your own OBD2 vehicle scanner. Imagine the savings that you can enjoy if you have a tool that you can plug-in and diagnose the error code yourself. Read on for the complete Actron CP9550 PocketScan Plus Review. Fixing your car sounds complicated? Don’t despair. The Actron CP9550 is here to help. All vehicles manufactured from 1996 onwards are equipped with an OBD2 computer box. The Actron CP9550 will read and display all diagnostic trouble codes (DTC) and malfunction indicator lights (MIL), even if you own a state-of-the-art German car or Japanese sedan. This is because the Actorn CP9550 is designed to work will all OBD2 protocols, including CAN or CAN-BUS, which is typically found on newer cars, trucks and SUVs. There are 5 known OBD2 protocols, and CAN or CAN-BUS is the newest of the bunch. What is CAN? CAN simply means Controller Area Network. Modern cars have sophisticated driving aids and electronic components that are linked via a main controller area network. Your new car is basically a computer with wheels (and a steering wheel), and each computer is part of a wired network. This especially holds true for sophisticated German cars, particularly the Mercedes S-class and the BMW 7-series. All cars manufactured from 2008 onwards is either CAN-BUS, or a combination of CAN and other OBD2 protocols. 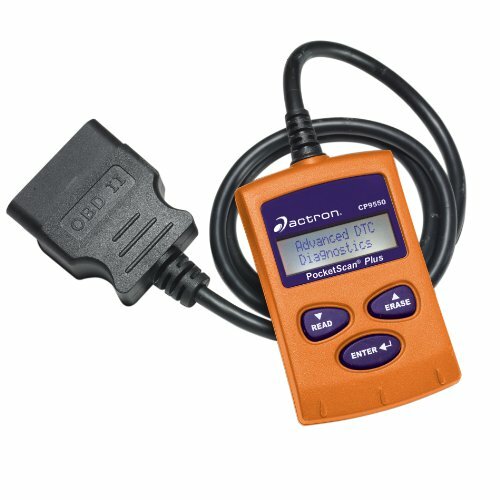 It is good to know that each Actron OBD2 scanner provides instant access to RepairPath.com. It is an online service that provides helpful diagnostic and repair information. With this service, you don’t need to search for the meaning of your trouble codes. There are certain vehicles that use generic trouble codes, which can be quite tricky to diagnose. But the Actron CP9550 is able to read all generic trouble codes and definitions, making it an essential part of your vehicle repair tool box. This obd2 vehicle scanner is also designed to automatically scan and read trouble codes. Simply plug it in and it will instantly begin scanning the OBD2 system of your vehicle. No need to press buttons. You can instantly view the bothersome trouble code (which is the source of the check engine light in your console) and search for the meaning of the code using RepairPath.com. This feature alone will save you time and money. If you are a DIY car enthusiast, there’s no stopping your from determining the fault and doing your own repairs at home. Some OBD2 scanners can only read the trouble codes. But the Actron CP9550 can do more than just read and scan OBD2 error codes. It can also erase specific trouble codes, so there’s no need to ferry your car to the dealership just to have the code erased (and eliminate the pesky check engine light forever). This OBD2 scanner can also provide freeze frame data, VIN information and the most important task of all: Inspection maintenance (I/M) or readiness testing. Wouldn’t it be cool to know in advance if your vehicle will pass the emissions test? Well, now you can. The Actron CP9550 is one of the most advanced and most powerful vehicle scanners that money can buy, despite the relatively humble and basic design. Automatically reads trouble codes for faster diagnostics, which saves you precious time and money. Reads and displays generic OBD-II trouble codes and other pending codes. It is also a dedicated I/M monitor, and displays freeze frame data as well. Compact, powerful and easy to use with only 3 physical buttons. Dedicated READ and ERASE buttons to quickly erase troublesome codes. 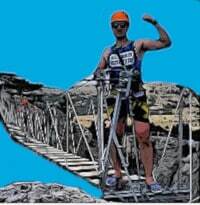 Provides access to RepairPath.com to view additional diagnostic and repair information. Are there downsides? We might be nitpicking here, but wireless scanners that use Bluetooth or Wi-Fi are gaining popularity and can be more convenient to use. But if you need a simple OBDII scanner to plug into your car and immediately know the cause of your CEL, the Actron CP9550 PocketScan Plus might just be one of the best OBD-2 scanners for you. Vince G here with ScannerAnswers. Mike and Matt made me fill out this bio... I write on this site once-in-a-while when I'm not fishing or biking. I love fast cars and on weekends I sometimes work on them. I help with this site because I believe everyone should own and be able to use a wireless bluetooth OBD2 scan tool.